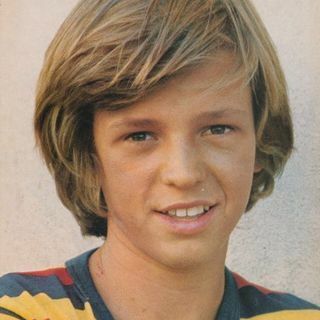 Jimmy McNichol (born July 2, 1961) is an American former child actor and the brother of retired actress Kristy McNichol. At the beginning of his career his popularity quickly grew causing networks like CBS, to create and implement multiple television series specifically for his involvement and leading roles. After making a record number of appearances on top talk shows he was viewed by many as "the face you see everywhere. "McNichol got his start at the age of 7, acting in a Band-Aid ... See More commercial. He appeared in roughly 80 commercials between 1967–1973, including spots for Kool-Aid and Crest. He then landed minor roles in shows such as S.W.A.T. and Little House on the Prairie. He made his first movie, Sunshine, in 1973 at the age of 12. His first regular starring role was as younger brother Jack on The Fitzpatricks. Michele Tobin played his sister, Mo, on the show, and they later worked together on California Fever. McNichol sang the show's theme song, and in 1978 recorded an album with his sister, Kristy, produced by Phil & Mitch Margo. When California Fever ended, he won the role as host of a weekly talk show, Hollywood Teen. He appeared in several successful made-for-TV movies, including Blinded by the Light which co-starred his sister Kristy. He made several low budget feature films before accepting the role of Josh Clayton on General Hospital. His love of music continued and he performed in a band throughout the 1980s under the name "Jimmy James". His last notable acting role was that of Jill Ireland's son Valentine McCallum in the 1991 movie, "Reason for Living" based on her life. In 1999, he was focusing on ecological education with a web site called ECOTV, was still performing with his band "Wizard King" and released a new CD, called Eco Warrior.